"Given the millions of billions of Earth-like planets, life elsewhere in the Universe without a doubt, does exist. In the vastness of the Universe we are not alone." Could our whitish blue-green world called Earth be the only life-bearing planet in the Universe? The reality is that the arguments for the existence of alien life are no less probable than the arguments in favour of Darwinian life taking place on Earth. Both must rely on indirect evidence, and the indirect evidence for both is strong. "It was no fortuitous combination of chances, and no cosmic dust, which brought life to the womb of our ancient mother Earth in the far distant Palaeozoic ages, but a well-regulated orderly development, which comes to every mother earth in the Universe in the maturity of her creation when the conditions arrive within suitable limits." However, should the pursuit for direct evidence remain the absolute pinnacle of our scientific endeavours, then the scientific study for alien life must continue for a little while longer. And the most promising area to actually see this evidence is to solve the problem of interstellar travel. Because by travelling to the stars, we will find undeniable evidence of the existence of many great civilisations. In fact, it is the single most critical step in solving the problem, but anything else, such as looking for alien bacteria, will always have a lingering doubt in some scientific minds as to whether we have not inadvertently contaminated our source with our own Earthly bacteria, thereby skewing our observations into thinking we have found ETs. To avoid this unfortunate situation, the only definitive solution is to find ETs that are large enough to be visible with our own eyes to the point where it becomes undeniable for the existence of ETs. And the only way to do that is to go out there and visit the nearest sun-like star. And if other intelligent ETs have understood this very fact and developed their own interstellar vehicles, then the only reason why we may not have directly observed them (leaving aside the reports from UFO witnesses) is probably because ETs are practising the ancient principle of love known as non-interference. It is the only logical explanation for why we have not seen them by now. And if this is the case, we need to respect this decision. And when it is out turn to travel to the stars, hopefully we too will respect the principle as well. Are we looking far and wide to find the evidence? …and in space to help with the search. If this isn't enough, there is no shortage of private companies and individuals willing to make do with cheap off-the-shelf electronic equipment to transmit powerful radio waves into space thinking aliens will listen and make themselves known to humanity. "You have to look at the possibility that there might be civilizations that are not sympathetic to us, that do even regard us as a potential threat in the long term. I don't know what the answer to this is. But what we need is a discussion among intelligent people that reviews all the possibilities and gives some weight to what is most likely to happen And then hopefully we can reach a conclusion that would enable us to either send a very carefully drafted message or perhaps to do nothing at all." "The SETI community have this image that all advanced alien races are altruistic. I don't know that that's true. There is no evidence for this. It is possible that there may be advanced alien races that are not altruistic. If so, do they have ways to harm us. I don't know. That's the key point. We don't know." We don't know? Actually we do. Assuming ETs have found a way to reach us, the answer lies by looking at our planet. If ETs are advanced enough to reach us and are not altruistic, why are we still here? Surely ETs would have done something to negatively impact on our survival. But they haven't. How strange? Is this because there are no ETs? Highly unlikely. Research and careful observations of the universe indicates advanced alien civilizations must exist as close as 4.3 light years away (see the SUNRISE research on nearby stars). And there has certainly been more than enough time in the universe to allow ETs to make their appearance on some planet and evolve to any level of complexity and intelligence. Simple nuclear technology could allow these ETs to make the journey quite easily (assuming they have not discovered the electromagnetic approach to solving this interstellar problem). We shouldn't think for a moment that we are the only lifeforms in this universe. And given that it is technically feasible to travel to the stars using nuclear technology (so much slower than the electromagnetic version), an alien civilization would have noticed our planet a long time ago. Even if by some incredible luck ETs have not noticed out planet (what exactly are they doing? ), we have our spurious emissions of television, radio and radar signals to contend with. These are signals that would have already arrived at the destination Mr Michaud is suggesting (i.e. 4.3 light years away) and certainly up to a distance of 110 light years detectable using a telescope as powerful as the Arecibo. The first ETs should have arrived to Earth more than 60 years ago to check out what's happening on our planet, and certainly by now if they haven't. And any non-altruistic civilisation out there would have by now done the dirty deed on us and colonised our planet if it so wished. So what are these ETs waiting for? If this is still not convincing enough, then think about it. How many advanced and altruistic ETs would be sitting around knowing there are civilisations nearby ready to cause harm to other ETs? It is unlikely they would do nothing. One can imagine how threatened certain ETs will feel by the presence of an aggressive civilisation capable of reaching the stars and influencing other civilisations. Therefore, we know they can and would do something about it. And the amount of damage a truly advanced civilisation can do to others (even for just a couple of decades of extra knowledge is more than sufficient) can be significant. In fact, all it takes is a slightly advanced civilisation to introduce a genetically-engineered virus to target and literally wipe out the aggressive species of another civilisation. It wouldn't take much effort to achieve this task, and the advanced altruistic civilisation can sit back and watch the aggressors die knowing the universe in its part of the neighbourhood will be in peace and balance again. Sweet and simple. With this in mind, why would any non-altruistic civilisation need to interfere in the affairs of other civilizations? Apart from wanting to stick around in this universe for as long as possible without having other civilisations choosing to interfere with them in a negative way, there is much we can learn from allowing other civilisations to freely go about their own activities without interference. Seriously, it can help other civilisations to understand the different perspectives on life and the way different lifeforms have learned to survive. Some of those solutions could potentially help solve other problems. Maybe a cancer cure? Or perhaps more refined methods of travelling to the stars using the right types of new engineering materials and ideas to generate enough energy (or more likely, as in the Abraham-Lorentz formula, recycling of electromagnetic energy is a greater possibility; so why do we need to generate vast amounts of energy?). But even if we do not wish to learn, we have to realise there is no competition between civilisations who can travel to the stars. It is not a contest of who can physically overwhelm and take over another life-bearing world, or even a contest of ideas to show who is smarter than whom, but rather a contest of how well we can live within our means , show love to all living things, and be mindful of the fact that we all have the right to exist in this universe. Therefore, knowing there are slightly more advanced civilisations capable of causing considerable harm to other civilisations if they so wish and with such minimal effort using guerilla tactics (the most difficult to combat), it is far better to practice the principle of love and learn to not interfere with other civilisations. The survival of that civilisation in the universe will depend on it barring any natural catastrophes that can destroy an Earth-like planet. "[T]he next war will be an interplanetary war. The nations of the earth must someday make a common front against attack by people from other planets. The politics of the future will be cosmic, or interplanetary." Nothing could be further from the truth. General MacArthur would be better off sticking to what he knows best in his own job and let the experts in SETI explain the reality of ETs in its true light. That kind of 1950s thinking won't cut the mustard in the 21st century, and certainly not when we are ready to venture out to the stars. As for extraterrestrials attacking us, it will be more to do with asteroids and comets heading to Earth rather than to deal with the aliens. Or the real concern is with ourselves. Our mentality to acquire everything we can, to make as much profit as possible at the expense of other life forms and reducing the standard of living of those working for the profit-motivated individuals, and thinking we can own anything we like, is where the greatest concern for the survival of humanity will lie. Certainly not with the aliens. We are the greater threat, and it will be how we treat one another on this planet that will dictate how long we will live on this planet. And if we dare to care on this kind of selfish thinking into space, then the aliens will do something about it. However, we will not have to know by whom or where it came from. We have to remember that the principle of non-interference with other civilisations could end up being the wisest approach to guaranteeing the survival of every civilisation in the universe no matter how aggressive some civilisations might choose to be. And even if civilisations are genuinely peaceful and loving, why would we expect ETs to communicate with us? What benefit would they get from, say, communicating with us? Apart from the massive distances in travelling to the stars and the time it takes for those who stay behind on the planets (not those who participate in the flight) in order to make a decent communication, we are still a tribal society still fighting among ourselves for basic things we need to survive, and for others who feel they are entitled to have whatever they want from this planet. We still don't know how to recycle everything we use properly. And we have a poor understanding of the principle of love when we continue to interfere with other lifeforms on our planet in order to have what we want. And we still cannot accept differences in who we are and in all the lifeforms we see on this planet, let alone what aliens might look like. And just look at our current state of technology. What exactly do we have to offer to ETs? Probably nothing. ETs capable of travelling to the stars would have gone there and done that, and now have moved on to better things. Apart from an occasional biological sample of blood and plant materials for their own scientific studies (and they can do that without us trying to stop them), there really isn't a lot we can do to control the situation or would have to offer to technically-advanced ETs. Furthermore, the universe is an incredibly big place with so many different resources available in vast quantities (assuming recycling is not used, which is highly unlikely in order to avoid interfering with other civilisations and in maintaining life on a planet for a long time). There probably wouldn't be anything we have to interest ETs. Gold? Who cares? There is more gold out there in the universe than we can ever dig out of the ground on Earth. ETs don't care about gold. If they need it, they know where to grab some. Anything else? ETs will know how to produce it. Unless the ETs are of equal technical abilities and knowledge, other civilisations that are advanced would probably have everything they would need to survive and develop whatever knowledge, technology, culture and art they wish to pursue. And don't worry about having trade with an advanced civilisation. Such an advanced civilisation wouldn't be interested in having trade with a primitive civilisation such as our own. If they want anything from us, they can watch us, listen to our radio and television signals, and pick up biological samples at any time. Then that would probably be enough to figure out who we are and what we are like. No need to make direct contact with us if they don't have to. "If we beam everything that we have to trade as a gift, all of our culture, all of our music, all of our science, all of our books, then what will we have to trade with? The people who do this may be known in the future as the worse traitors to humanity ever." The reality could be quite the opposite. What precisely do we have that they wouldn't or couldn't produce for themselves? Do we have anything that is valuable enough for them to want? Probably not. Other than a few unique plants and some DNA from certain animals, including humans, it is unlikely aliens will find anything useful on our planet. We are pretty much an ordinary bunch of creatures carving out an existence in this corner of the galaxy and nothing else. Unless the civilization has an equal level of development and technical know-how as our own (and, therefore, likely to think the same way as us), a truly advanced civilization would have little or no need to trade with us. And are there civilisations of equivalent technical know-how as our own? There is no evidence at the present time of another unusually high radio emission source around an alternative sun-like star indicating the likely presence of an equivalent technological civilization spuriously emitting radiation. Either we have advanced civilisations out there, or we have places where the ETs are too primitive and not having a technology for them to communicate with us. Looking at the age of many sun-like stars, 75 per cent of them are older than our sun. We can be fairly sure the majority of ETs out there are more advanced, and the rest are too primitive. But if we ever think it is likely an advanced alien civilisation might want to contact us, we need to get our backyard in order. Why? Because this is more to do with protecting ourselves and other civilizations from a primitive life form such as our own that might reach the stars. We are the threat. This is especially true when we are still engaged in military activity and developing weapons, and we are so incredibly close to figuring our the secret to interstellar travel. The threat is not from outside, it will be from within. With all this in mind, ETs will be out there and in great numbers but keeping quiet, and watching us very carefully. Any wrong move on our part could be enough to see our species on the verge of extinction, with a little help from the ETs if they want to protect themselves. That is all it takes. So, in some sense, in might be better to lay down your guns and start to be loving and curious to these highly advanced and intelligent aliens. Your survival will depend on it. With all that has been said, why should scientists continue spending taxpayers' money building bigger and better radio telescopes if there is not a high hope of communicating with them assuming, of course, other civilizations are indeed practising the ancient principle of love known to religious people and the more modern psychologists as non-interference? And if they have built the interstellar spacecraft to take them to the stars, what's the point of sending radio signals in space given the long time delays in receiving a reply? A total waste of time. It might help the scientists improve the odds in Drake's equation by at least doing something to search for alien radio signals. 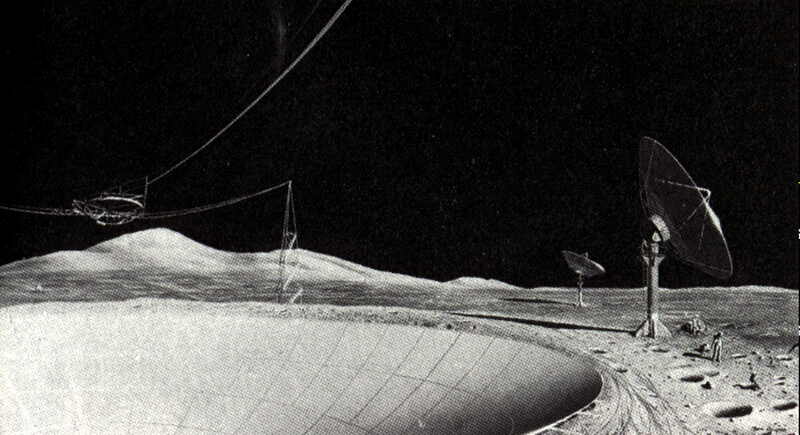 But it would be an incredible waste of time and money searching for ETs if we focus purely on the radio telescope option! NASA is considering sending a probe to Europa in the hope that we can find alien bacteria growing in the liquid water below the ice. This is certainly a more sensible approach. The only risk, however, is that the probe could contaminate the water with its own Earthly bacteria (it only takes one to survive the travel to this moon onboard the probe and flourish in the liquid water of another planet or moon) and then where will we be? Back to square one in this whole ET debate. Because, can we be absolutely sure we have found alien life? Surely there must be a better alternative. 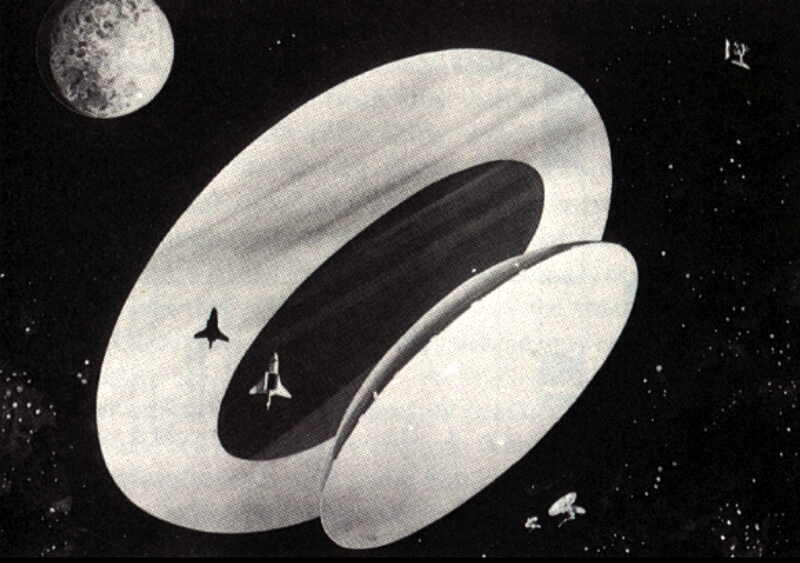 Maybe it is time we get down to the business of solving interstellar travel in the physical sense. And stop all this giggling about Star Trek, little green men from Mars, and all the rest involving aliens and interstellar travel. Finding a solution to this problem is just as much a legitimate part of scientific study as growing better food on this planet, or finding the next cancer cure. Because if aliens have found a way to break the so-called prodigious energy barrier for interstellar travel and can reach us in the physical sense, what's the point of radio communication? 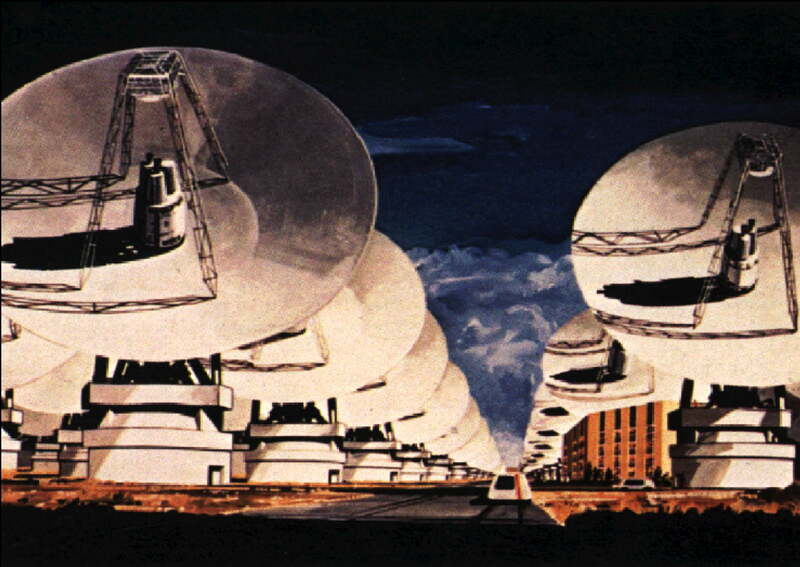 Use the money in SETI in areas that are far more productive and worthwhile than any search for the heavens for alien radio signals. There is another good reason to look at the interstellar travel problem. What if something happens to our planet because of say a collision between a big enough asteroid or comet and the Earth or our Sun suddenly goes kaput? We would all be in serious trouble unless there is something available to us by way of a technological ark to help take us to the stars. Building spaceships should be considered just as important to our survival as growing food on this planet. We need both to protect our future and help us find the answers to our greatest questions. Sure, we will always have overly rational scientists in our society ridiculing such thought because of their unshakeable belief that travelling to the stars in the physical sense would be impossible because of the enormous time and energy that must be expended, let alone the problem of getting funding to find out if the belief is a justified one or not. Then why do we have science at all? It is because science can give us the clue to help us find a solution. All the scientist needs to do is be open-minded, creative and see where science can take us in making the impossible seem possible, probable and then for real. And guess what? There is an answer. As shocking as it may be to hear for some scientists, there is indeed a solution. Sitting within those few advanced university textbooks on electromagnetism exist a rather poorly understood and studied area of electromagnetism involving the emission of radiation from the surface of a charged object. It is here where the answer lies to this interstellar problem. Not fast enough, you reckon? Rubbish. The Abraham-Lorentz formula gives a special case solution showing any charged object emitting radiation in one direction will cause the object to recoil in the opposite direction. And the movement is described as an exponential acceleration. The word "exponential" should raise eyebrows among scientists, because this means dramatic movement over time. Any object that is capable of exponential acceleration means it will reach very close to the speed of light in a much shorter time-frame than the traditional fossil fuel or even the nuclear technology option (which are both linear in the acceleration they produce). Even talk of inadequate energy to make this happen also falls by the wayside when we realise the solution to the formula is suggesting a self-feeding of its own emitted electromagnetic energy. In other words, there is some kind of electromagnetic recycling taking place. In other words, no need for a separate external force to keep it accelerating. Maybe initially to start things off, a little jolt to the object from the radiation or by some other means will be necessary. But once it starts accelerating and the charge and strength of the radiation emitted by a lightweight object is sufficient, the acceleration is maintain and get more dramatic over time. Of course, this is a perfect mathematical case. The amount of charge and radiation needed to be emitted is so minimal that it seems to spontaneously accelerate on its own with the slightest of forces. So slight, in fact, that scientists are befuddled by how this special case could work in reality. Well, in the real world, some energy loss is expected in the presence of Earth's atmosphere. But the amount of energy in getting the object to be jolted and start to move is far less than anyone has realised. And even less energy when we choose to build the object with the lightest of materials and with the least amount necessary. Low mass means less energy. The only reason we have not discovered the reality of this solution and applied it in reality is because scientists cannot believe their own eyes what the mathematics is telling them, and instead they have chosen to see it as a defect in electromagnetic theory that probably doesn't have a bearing in the real world. Again rubbish. The reality is that no scientist has even attempted to set up an experiment to find out. That is where we are at. And when they do finally attempt the experiment, scientists might realise this concept has already been applied in those symmetrical and mostly smooth electromagnetic vehicles of genuine UFOs observed by various witnesses around the world. Yes, those glowing on the outside, electrically-charged like an electric light-bulb vehicles are based on the Abraham-Lorentz formula. They do apply radiation emission from a charged surface for propulsion. ETs have already known this concept. So if other civilisations can work it out, why can't we? Because we can't believe what our eyes are seeing? Ha, how dumb are we. We have to be careful not to assume too much. We can't assume, for instance, that because something requires a lot of energy that it cannot be done. Or if a solution in mathematics looks too unbelievable to be true that we should ignore it. We need to make sure we have not overlooked something critical in our discussions, the evidence available to us, and in science that could result in a radical change in our belief and force the development of a new technology we had not considered before. For example, can we be absolutely certain that, say, electromagnetic radiation cannot be recycled in some way and used to propel charged objects to nearly the speed of light? The mathematics is telling us it can be possible. Until we find out, we need to be on guard for the possibility that someone will come up with the solution very soon, and tested it, whether we like it or not. "No phenomenon is a phenomenon until it is an observed phenomenon." Yet the absence of direct evidence of an observed phenomenon in the skies of Earth is not evidence of absence. Otherwise we should apply it to the search for alien radio signals. In other words, we can't find any alien radio signals, so why not say they don't exist? But if scientists are prepared to search for alien radio signals and the possibility of alien bacteria on other worlds, then they should equally be searching for ETs in UFO reports. We should not discriminate UFOs from the SETI discussion any more than alien radio signals or some fanciful possibility of finding alien bacteria on a nearby moon. Furthermore there's another bonus in studying UFOs and solving the problem of interstellar travel. By figuring out precisely how to build an interstellar vehicle (it will be based on electromagnetism), we would not only improve our chances of survival in this universe, but we will also be guaranteed of the answer to our original question: Are we alone? If we can build a machine to take us to the stars, then not only would we be able to observe ETs to any level of complexity and intelligence we like, but also by implications other civilizations would have done the same as well. It would mean we won't need radio telescopes to answer our great question. And we won't need to find alien bacteria. The technology would help to dramatically increase the odds in Drake's equation in favour for the existence of ETs and in vast numbers. And when we do get to the planets of other civilisations, the probability will become of absolute certainty. But what if you don't want to build the technology to find out the answer? There is another way we can answer the great question of "Are we alone?" You see, the principle of non-interference represents a subset of a much broader concept known to the better informed religious leaders and psychologists throughout history. This concept is called love. You may be wondering how the concept of love can provide us with the answer. Easy. Just ask yourself this question: "What is your attitude to life?" Should your attitude to life be lacking in love, then the answer is obvious: we are alone and the factor L in Drake's equation has to be extremely low. Indeed it is the kind of attitude that may explain why aliens have not made contact with us simply because the number of civilizations in the Milky Way has been calculated to be extremely small. Some scientists think this is because either ETs are very few in numbers, or every civilisation that reach our level of technology eventually destroy themselves. However, this is the pessimistic view. The more optimistic view is that there are probably an unimaginable number of ET civilisations out there, but this is probably more to do with a decision not to communicate with us. Very few will want to given our attitude to life on Earth (and they may do it quietly by given messages to those humans who get briefly abducted and taken onboard the UFOs). The rest will not bother. Our attitude has pretty much determined the figure for the factor L and, therefore, the answer has to be, "We are alone!" However, if your attitude to life is always filled with love and compassion, then the answer is clear. For it is through love that the true abundance of life in the universe is finally revealed to us thanks to the great number we can use for L in Drake's equation. The only reason why scientists ever mention Drake's equation in a discussion on ETs is because we believe we were lucky to have survived to this point in time and from now on our future is not looking good given our current state of world affairs. The equation is more of a reflection of how precarious we have lived and continue to live on this planet, and our insecurities and lack of love, our limited open-mindedness, and an inability to show a positive look to the future. Yes, there have been some precarious moments in the evolution of life where humans could have been snuffed out. An asteroid here or there. Maybe a supervolcano, or a lethal bug or two. All this suggests the probabilities were low for us to survive. But guess what? We have made it through. We are here. And the only factor remaining in the equation is the term L, the lifespan of our civilization. L can be any large number you want to make it. It depends entirely on how optimistic and hopeful you feel for the future and how you treat other lifeforms (not just here on this planet, but elsewhere in the universe). If you believe in the principle of love, then you will know the answer. Life has to exist in great abundance. And Drake's equation becomes virtually redundant in this argument about whether ETs exist. In a nutshell, if we don't know by now how to love and treat living things well, including our fellow human beings, no matter how different their views and appearance may be, then we are truly alone in the universe. And maybe we deserve to destroy ourselves because of our stupidity. However, show love and the universe will be teeming with life. And we will survive to see the day when we can observe ETs to any degree of sophistication and intelligence. And with this important insight into our psychology, perhaps the time has now come for all humanity to start laying down their arms, learn to love all living things, and be more curious and open-minded about the wider universe we live in. Remember, through love, anything is possible. Even the possibility of finding and later communicating with ETs in vast numbers thanks to our choice of showing a positive attitude to life on this planet (and eventually how to solve the problem of interstellar travel). Are you a loving and curious human being? Show it, and the truth will reveal itself in all its splendid glory. Dawkins, Richard. "Nothing beyond belief": The Wall Street Journal (republished in The Weekend Australian, 19-20 September 2009, p.7 (pp.6-7). Calling All Aliens Part 2: Contact in Space. A television documentary and film by Christian Schidlowski Copyright Vidicom 2007.